Is there really any magic in the number “3”? The Holy Trinity, the three primary colours, the triangle, the three musketeers…Yes, the magic is there, all right. And we can give you one more example of perfection. 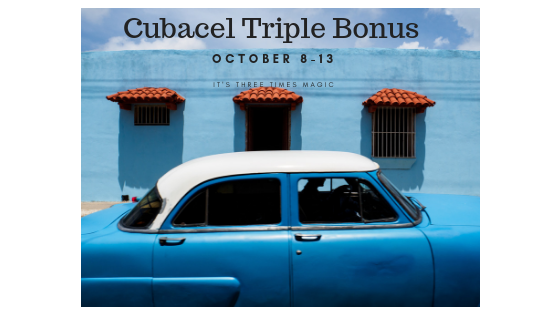 The October Cubacel Triple Bonus! What should you keep in mind during this promo? – The promotion will run from Monday October 8th, 2018 00:01 Cuba time to Saturday, October 13th, 2018 23:59 Cuba time. – One can use promotional balance for local and International calls and SMS. – Promotional balance does not apply to Nauta email from mobile phones, the service will deduct from the main balance in this case. – The expiration date is not accumulated from previous promotion, if a customer has promotional balance, it will keep separate date for this promo. 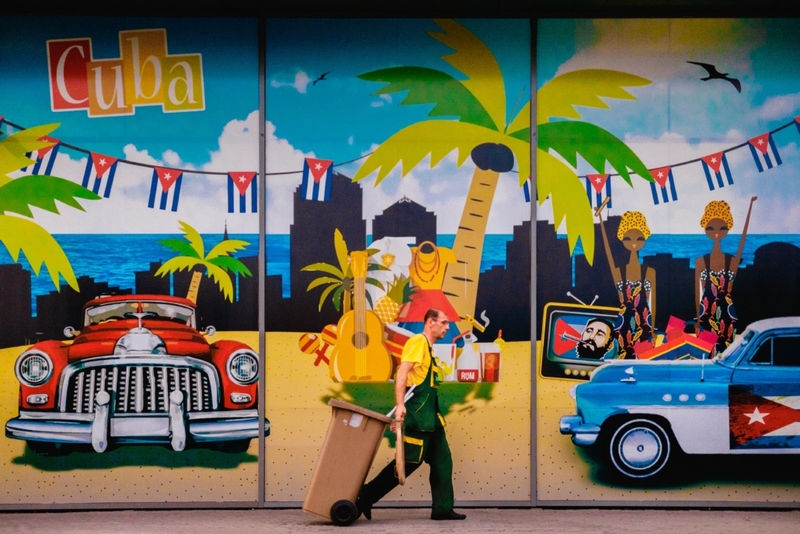 In this case, promotional balance will expire in October 31st, 2018 at 23:59 Cuba time. – If promotional amount is not enough to complete a call or to send a SMS, the service will deduct from the main balance. – Top ups of 40 CUC or more will divide into 2 or 3 separate top ups, so that you receive the maximum bonus possible. The recharges may arrive several minutes apart.